At the turn of the 20th century, the American photographer Edward Sheriff Curtis (1868-1952) started on his 30-year project to produce a monumental study of North American Indians. Using an approach that was both artistically and scientifically ambitious, he recorded, in words and pictures, the traces of the traditional Indian way of life that was already beginning to die out. 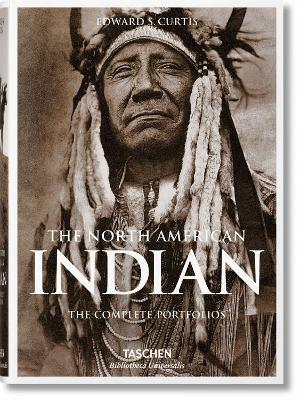 This book gathers Curtis's entire American Indian portfolio into one publication, offering renewed access to and appreciation of his extraordinary achievement, which is as much a precious historical document as a triumph of the photographic form. "The North American Indian by Edward S. Curtis is a monumental portfolio by the American photographer and is an invaluable historical record of a way of life which was already beginning to die out." "This book is in every sense a life's work. Curtis left us a collection of immense historical significance, with an outstanding artistic integrity."